The power to control the rain is one that many of us wish we have - to let it rain as nature intends, and yet to stay completely dry at all times. Even if technology has somewhat allowed us to partially control the weather, it appears unlikely we will ever wield complete control of the rain in our life time. 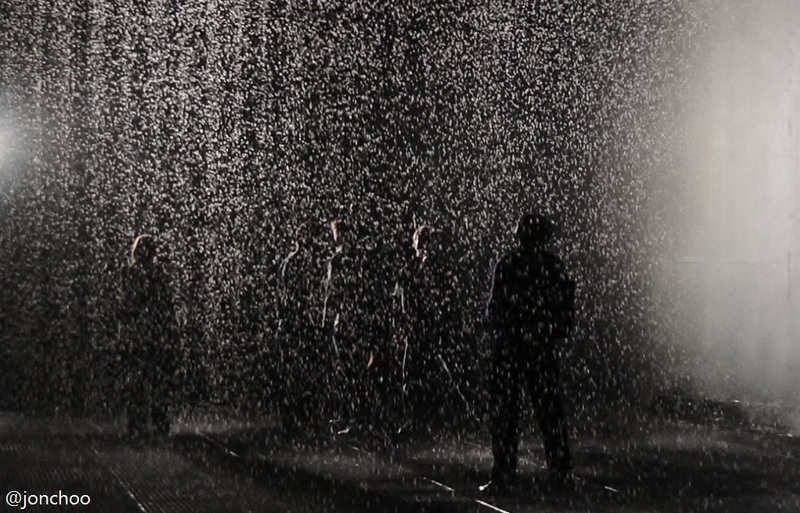 But thanks to a recent art experiment by Random International at the Barbican Centre's The Curve room, we can now at least imagine what it would feel like to control the rain. 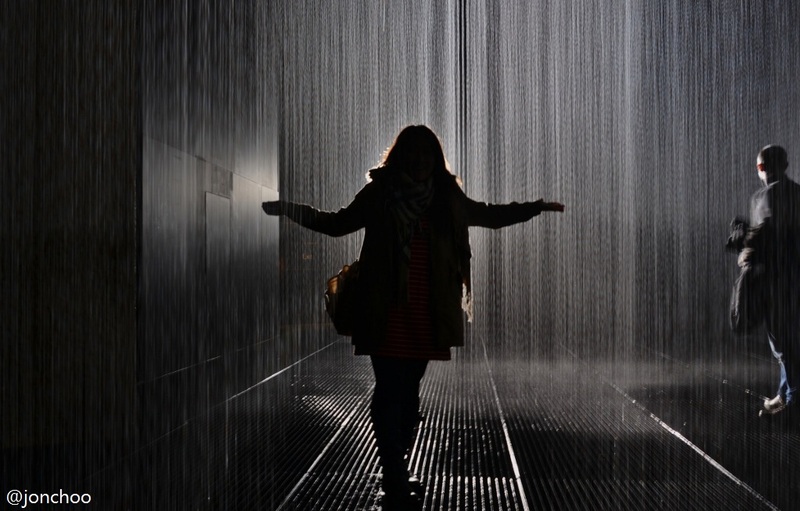 From 4 October until 3 March 2013, visitors has to put their complete trust in the workings of the 'Rain Room', a room where it always rain - except where you stand. Sensors installed overhead allows one to stay dry in a room filled with constant shower of water. We visited the Barbican yesterday just before opening time where we were greeted with a very long queue. After a 1 1/2 hour queue, we finally managed to enter the room and, in the process of walking towards the rain... 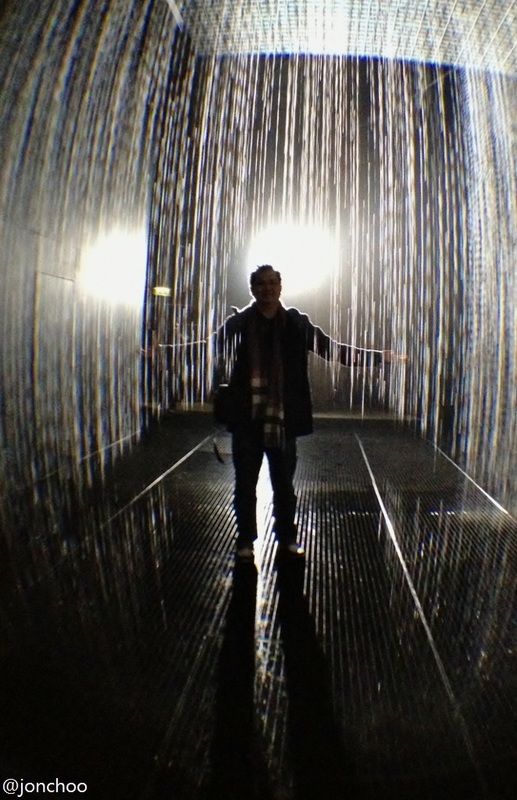 I got soaked! You see, there is a slight problem with the installation - if you are wearing a black jacket, it wouldn't work! 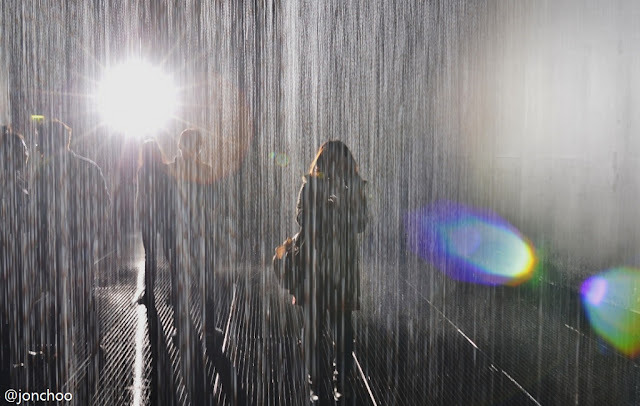 Once the black coat was removed, the 'rain' would simply switch off wherever I walked. So there you go, that's my little advice to you. 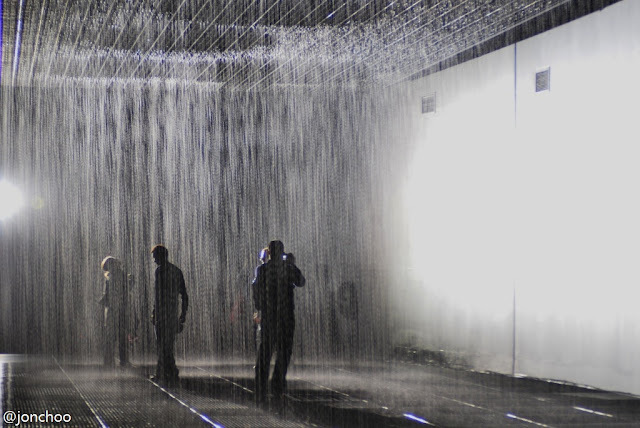 Get down there and experience this great thing once. It is opened daily from 11am until 8pm (10pm on Thursday, plus random closes for maintenance, so check ahead). Entry is free, just don't forget to bring a book as the installation is very popular and queues can last up to three hours. Also, ditch your black jacket. This is cool but 3 hours queue is too long!